“ Enter Key” feature is valid for promoting other Admost publisher’s apps. Fixed type has a higher priority level than rotated type and serves the campaign separately from the other campaigns. Date: Select the date range for the start and end of the campaign. Creative: Upload your campaign creative. The creative format can be image or HTML in any size. The creative size would not exceed 100 kb. HTML format must be in zip or RAR format. The size of creative may be custom, but if it’s not fit with the standard size of the zone, Admost will center the creative on vertical and enlarge the creative to %100 on horizontal. 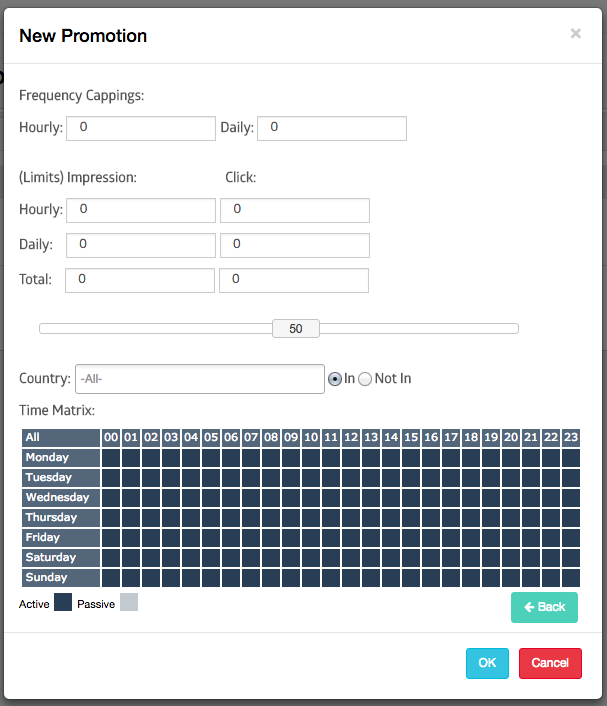 Frequency Capping: Set daily and hourly caps per users. Limits: Set daily, hourly or total impression and/or click limits to the whole audience. 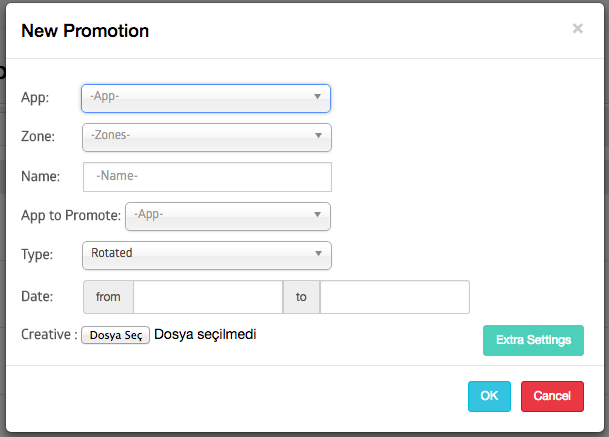 Select “My promotions” tab and click on placement settings under each app for each ad zone. You can set and edit your hourly and daily cap per user. Imp Interval: Time period between two impressions in seconds. *Default eCPM: To set a fixed eCPM for the campaign to position the promotion placement on your Admost mediation waterfall. You can check your current eCPM rates on mediation revenue reports screen. 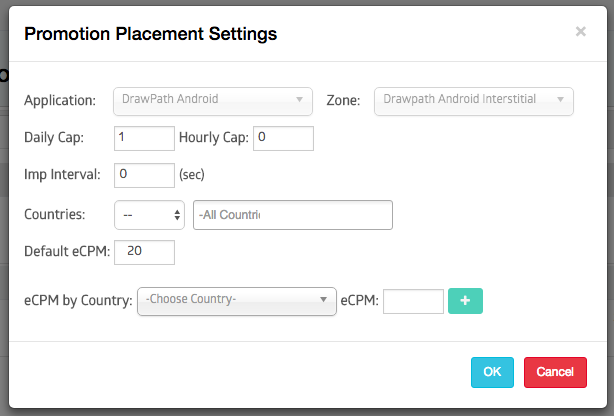 You can check your current country eCPM rates on revenue report or eCPM icon near each ad zone on my apps screen. Follow the same instructions stated above together with Enter Key to promote another Admost publisher’s app. Key: Each application under publisher account has a unique key to give an access to cross promo on other publisher’s app. To promote another publisher’s app on yours; you have to fill the key value to have an access. Share your application key with the publisher you want to promote.